Round up the crew and head to the heart of the footy action on the biggest day in the AFL calendar. Witness yet another new premier for the third consecutive season as West Coast faces Collingwood in the 2018 AFL Grand Final. Will the Magpies win its first premiership since 2010 or will The Eagles claim its first premiership since 2006? We’ll have multiple screens (with sound on) so you catch every bump, mark and goal live as it happens. 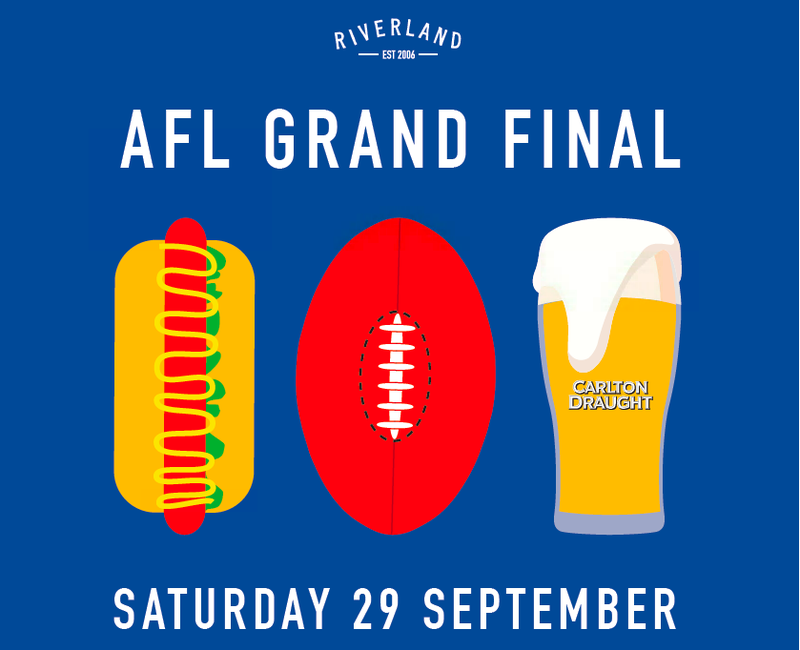 Get amongst $20 jugs of Carlton Draught siren to siren and a menu of crowd pleasing favourites including Riverland’s famous loaded dogs straight off the BBQ and party pies for those that love a good Aussie classic. Keep the festivities going with a DJ spinning the decks throughout the official footy after party. Come early to reserve the best seats in the house!